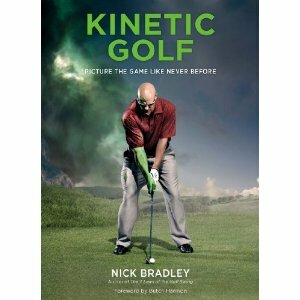 Kinetic Golf: Picture The Game Like Never Before was a great read for the start of the season here in the Ottawa area. A quick read, you could glance back at sections you might want to focus more for your own golf game. I really didn’t know much about the author Nick Bradley but after reading his bio (see below) Nick is pulling from many avenues of his professional life. Consultant, coach, author, and course designer Nick Bradley is a frequent contributor to Golf Digest, Golf World, Golf International, and Golf Monthly. Bradley has worked with some of the world’s top golfers, including Ryder and Walker Cup players, and winners on the European Tour and British Open. A London native, he now resides in North Carolina. For me visualizing my shot is an important part of my golf game. When I do it properly my game is better. Nick Bradley takes visualization to a whole new level with this book and some of his keys to the game I’ve already started to incorporate into my game. In Kinetic Golf, Bradley uses 100+ amazingly photo-shopped photographs, accompanied by his words to help both amateurs and professional with their golf game. 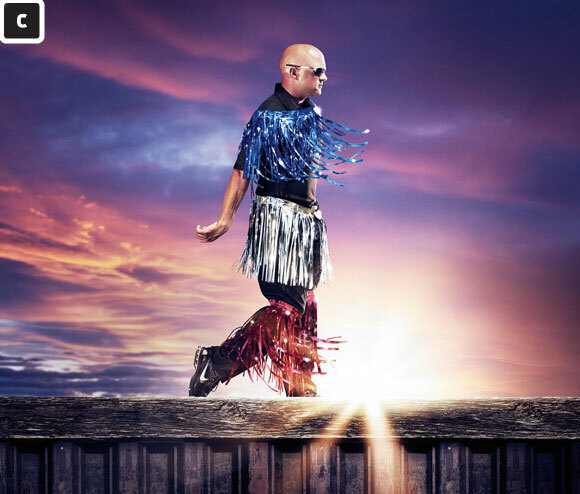 The Image: Bradley on a skateboard with driver favoring his right side which is way smaller in the picture. Hopeful Outcome: Always a tough shot Bradley makes it easier to get that positive outcome. The Fairway Bunker: Don't Crack The Egg, Because You Might Lose More Than a Shot! Hopeful Outcome: Catch the ball clean with a nice sweeping arc golf swing a la Jack Nicklaus. Your out! Don't Clown Around with Sucker Pins! The Image: Bradley in the fairway with a clown holding the pin right side of the green a few steps away from the gnarliest bunker you've ever seen. Hopeful Outcome: Play to left of the pin for a easy two putt. The Short Putt: Don't Be The Grim Reaper; Be The Happy One! The Image: The grim reaper standing over Bradley the putter with some grooming sheers ready for any movement. Hopeful Outcome: No gimmes, make your short putts with a steady head through the putting stroke. Outcome: Feeling the width and torque through the stretching of your swing. The whole Images of Motivations, Attitudes, and Affirmations section is probably the section ever golfer should read at least a few times. As with most golfers the brain can sometimes get in our way of enjoying the fun that is golf. Make sure you read this a few times. Most of the time as golfers are brains can get muddles by words Bradley uses some powerful imagery for a different yet effective way to improve your golf game. Check it out for $29.95 USD (Hardcover) at various retailers.